A man has been charged with the murder of a homeless man whose body was found on a roadside in north county Dublin. 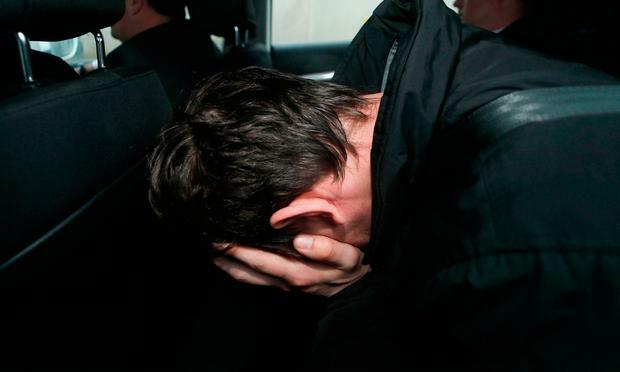 Sebastian Barczuk (29) told gardai "I'm innocent" when the charge was put to him, a court heard. He was charged following the death last August of Polish national Michal Kurek, whose body was found with multiple stab wounds along a road in an isolated area in Ballyboughal. Judge Michael Walsh remanded Mr Barczuk in custody after he was taken before Dublin District Court yesterday. The accused, who has no fixed address, is charged with murdering Mr Kurek at a place unknown on either August 3 or 4 last year. Yesterday, Garda Ross Rowan said he arrested the accused at Balbriggan Garda Station at 10.33pm the previous night. The arrest was for the purpose of charging him with the murder of Mr Kurek, contrary to Common Law, Gda Rowan said. He then charged him at 10.55pm. Mr Barczuk replied "I'm innocent" to the charge after caution, Gda Rowan continued. He was handed a copy of the charge sheet. The garda said he had no objection to legal aid. Solicitor Brian Coveney, for the accused, applied for free legal aid and handed a statement of Mr Barczuk's financial means in to court. He said there was no application for bail being made "given the nature of the charge". Bail on a murder charge can only be granted in the High Court. Mr Barczuk, wearing a black jacket, black sweater and grey tracksuit bottoms, sat with a Polish interpreter, who translated the proceedings. Judge Walsh certified for an interpreter to be assigned to the case for future court appearances. The accused remained silent during the brief hearing. Mr Kurek's body was found by the side of a road in Grange, Ballyboughal, at around 10.40am on August 4. He was in his mid-30s, had lived and worked in Ireland for a number of years but was reported to have been homeless at the time of his death.